The mammalian brain has a high obligatory rate of energy consumption which renders it extremely sensitive to even brief periods of oxygen deprivation. In contrast, the crucian carp (Carassius carassius) and some North American freshwater turtles of the genera Trachemys and Chrysemys can survive anoxia for hours to months depending upon the temperature. These anoxia-tolerant vertebrates defend their brain ATP (adenosine triphosphate) levels by matching ATP consumption to glycolytic ATP production. This allows the turtle and the crucian carp to maintain ionic homeostasis and avoid the deleterious events leading to the death of the mammalian brain. Although the turtle and the crucian carp have both evolved strategies for anoxia survival, the mechanisms by which each defends their brain energy levels differ considerably. During anoxia, the turtle depresses neuronal activity which allows the turtle to significantly reduce its metabolism and enter a comatose-like state. 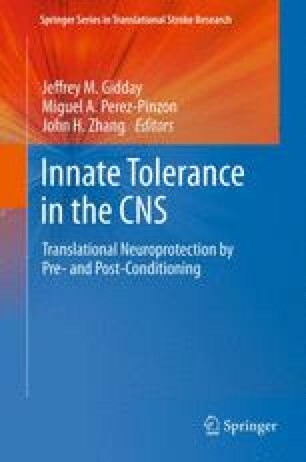 Depression of neuronal activity in the turtle initially occurs through the release of adenosine and is followed later by an enhanced release of the inhibitor neurotransmitter GABA and by a reduction in ion channel conductance. In contrast, the crucian carp up-regulates glycolysis with only a slight reduction in neuronal activity which allows the crucian carp to maintain a degree of physical activity during anoxia. Except for downregulation of the NMDA receptor, the anoxic crucian carp does not depress ion conductance but instead slightly increases GABAergic activity which is responsible for a small reduction in metabolism. The adaptation of the crucian carp and the turtle to anoxia represents two contrasting strategies for anoxia survival which may allow for insights into novel targets for therapeutic intervention in the ischemic mammalian brain.